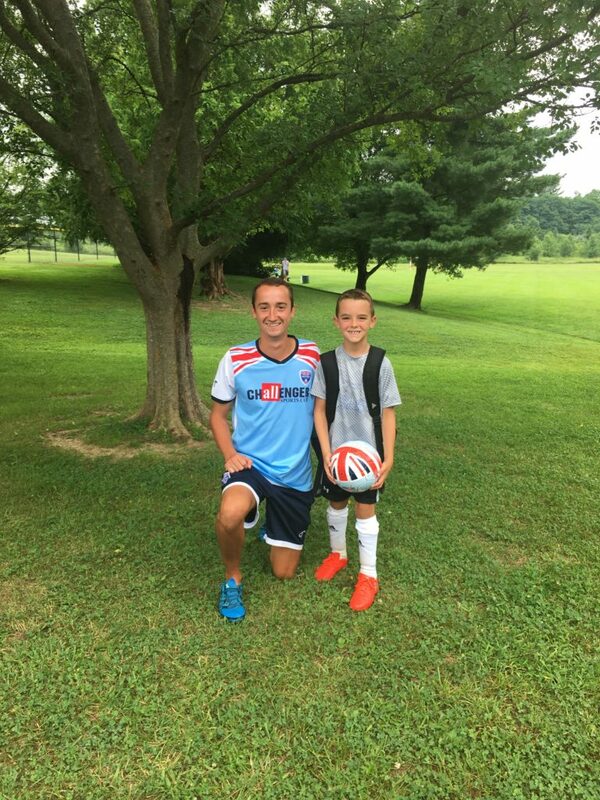 Last Month, Austin had the pleasure attending Challenger Sports British Soccer camp for the 3rd summer in a row. In the past, he usually attended the indoor camp at Wall to Wall in Mason with a Buddy. This year he attended one closer to home at Phillips Park. I was very excited for him to have this opportunity to attend this camp again this year with 3 of his closest buddies. This year was the real deal: outdoor summer camp for 3 hours. 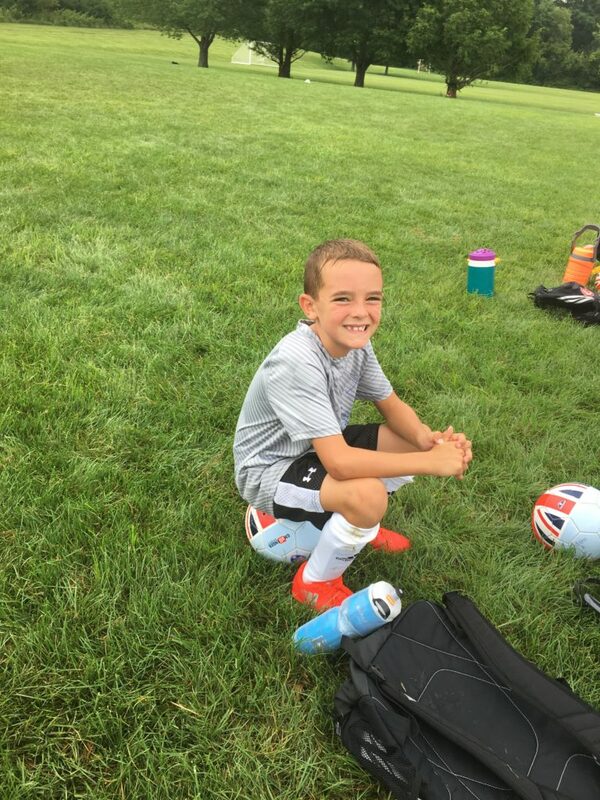 Waiting until almost August for this camp was actually perfect timing, because Austin started training with his Club Team around the same time so he could use the skills he learned while they were fresh in his mind. If you register by a certain date (pre-register) you got a FREE jersey(the one they are wearing here), soccer ball (also pictured), and a t-shirt!! I like that this camp has a curriculum that develops skills, speed, and confidence in players ages 3-18. It provides your child with the rare opportunity to receive high-level soccer coaching from a team of international expert’s. This camp was the real deal. The coaches are all VERY good and really help build confidence in all players. This is Austin with his Coach, Coach Kieran. He was a really great coach and role model for the boys. At the end of the week they were sent home with certificates with a written note from Coach Kieran where “graded” them on the items they excelled, developed, and improved in. Austin was VERY proud of himself. Confidence building is Key at this age of soccer players! The boys LOVED this camp and had SO Much fun! All in all the amount that they learned, and the amount of fun that they had I feel the camp is well worth the cost! What camps did you send your kids to this summer? Have you tried the British Soccer Camp from Challenger sports? Here is his sweaty after shot! This is a USFamily Guide Sponsored Post. All thought are 100% my own.